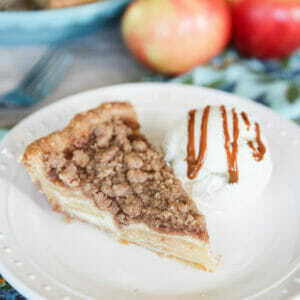 Amazing Crumb-Topped Sour Cream Apple Pie. A few weeks ago I asked you guys about pie on Instagram. I wanted to try some new ones and asked what your favorite, go-to pie was. 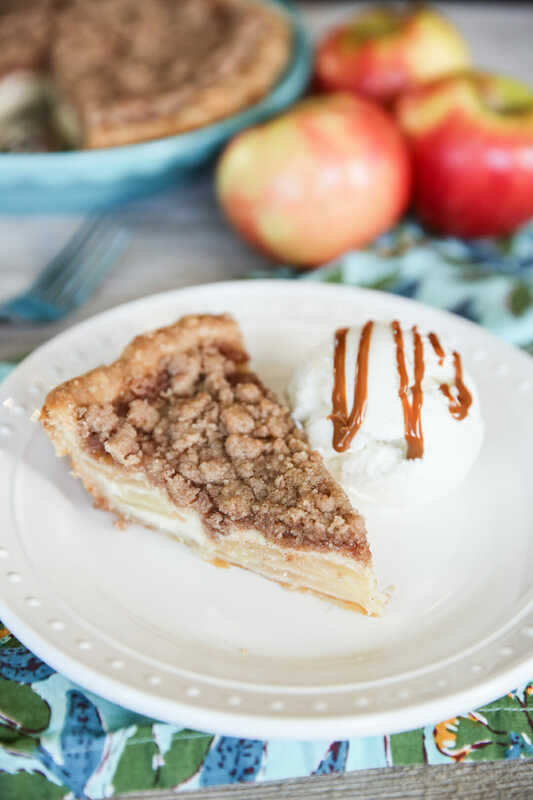 Several people mentioned Sour Cream Apple Pie and the funny thing is that I’ve tried a couple recipes for that over the years and nothing has turned out super great. After hearing more great reviews I decided to give it one more shot. I’ve had pretty good luck with recipes that have high ratings on All Recipes, so went for this one! I don’t think you can go wrong with a classic Apple Pie, but this sour cream twist is pretty fantastic. 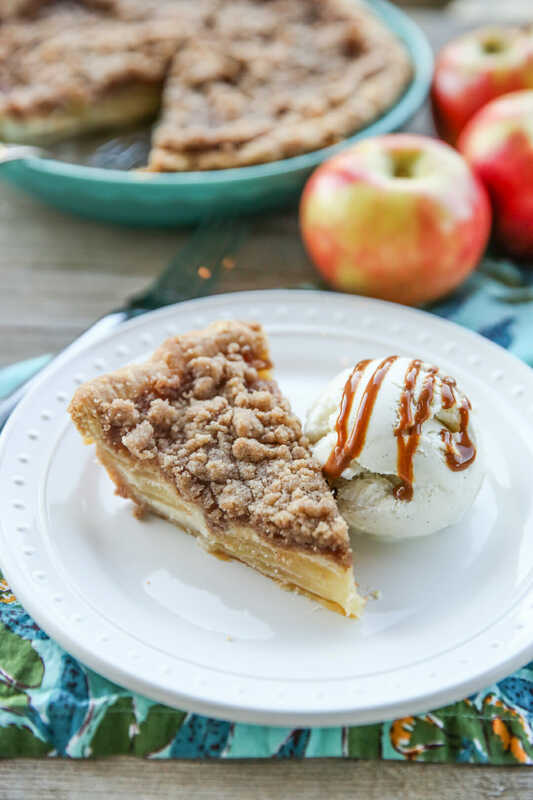 Basically it’s your classic apple pie, but all wrapped up in a sweet sour cream custard and then smothered with an amazing cinnamon-sugar crumb topping. One thing that makes this pie a little different than your standard, is that it’s best eaten chilled. That means it’s awesome to make ahead of time for Thanksgiving and not even worry about re-heating. 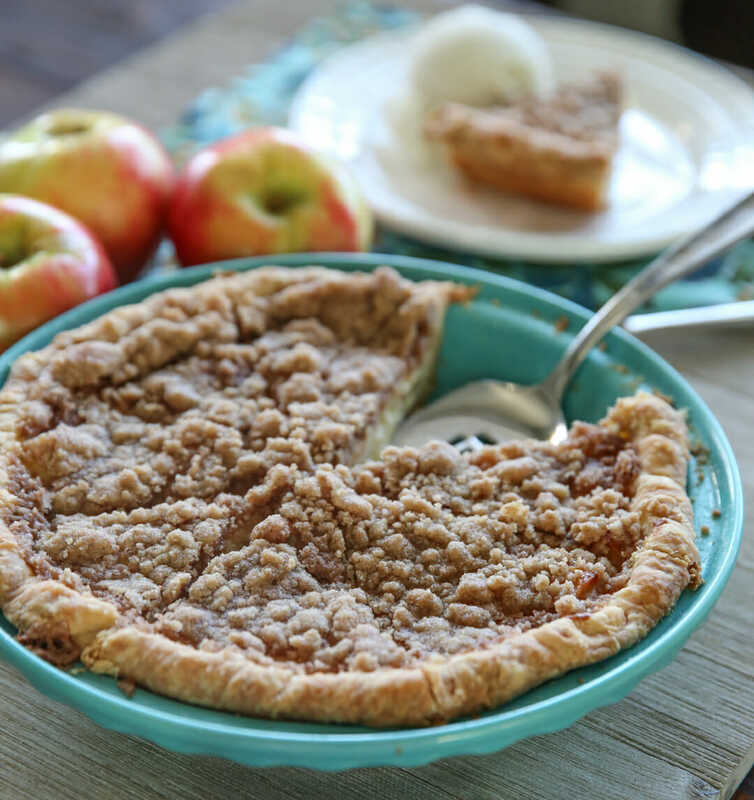 You can use your favorite pie crust recipe here. Here’s our classic crust recipe, and here’s an all-butter recipe. And then this pastry-style crust is amazing as well. Whichever you choose, make sure you have nice big visible pieces of butter/fat in there (that’s what helps it turn out flaky!) and make sure to chill it well before rolling out. I actually tried a new crust recipe, along with a tip, from my friend Tessa who suggested adding 2 tablespoons of sour cream into pie crust. Sour cream works as a tenderizer and sure enough, it made the crust almost pastry-like (similar to this one, actually). I figured that was perfect seeing as I was making a sour cream apple pie! The only downside here is that I didn’t have time to refrigerate overnight as her recipe suggests and my dough didn’t hold it’s shape very well, but I honestly didn’t mind because it tasted great! If you do want those nice fluted edges to stay, I might suggest either an all-shortening crust, or a half and half. I have the best luck with that combo! 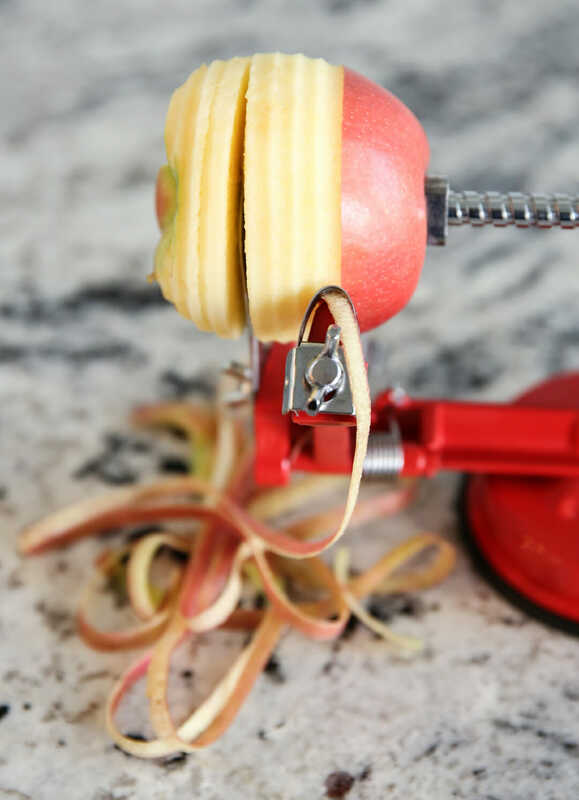 And guys- if you’re going to be making lots of apple-related recipes next week, hop on Amazon right now and you can have one of these babies in your possession in time. It’s SO WORTH IT. 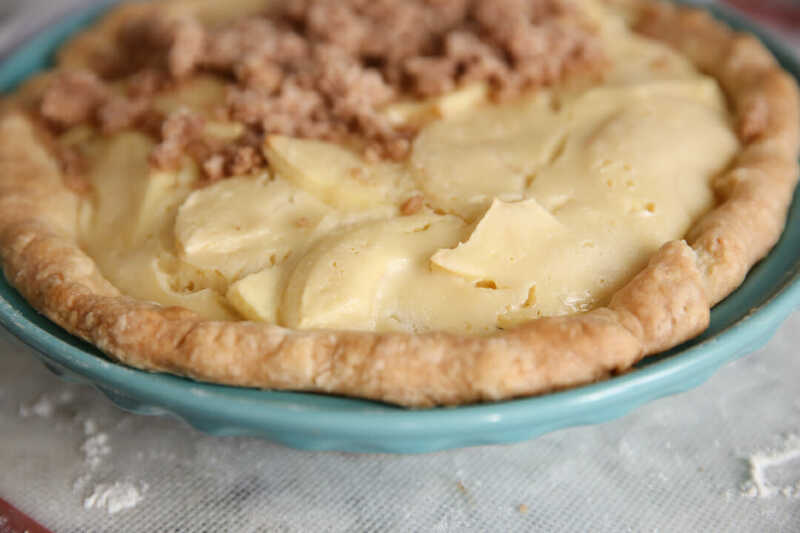 For the sour cream part of this filling, you’ll mix sour cream, egg, sugar, and a little flour and then pour it over apples in your pie crust. The result is a pie that looks as good as it tastes! The creamy sour cream filling just kind of wraps around all those apples. Kind of like a cheesecake but it feels much lighter. And it’s one of those rare pies that really is actually better cold than warm. 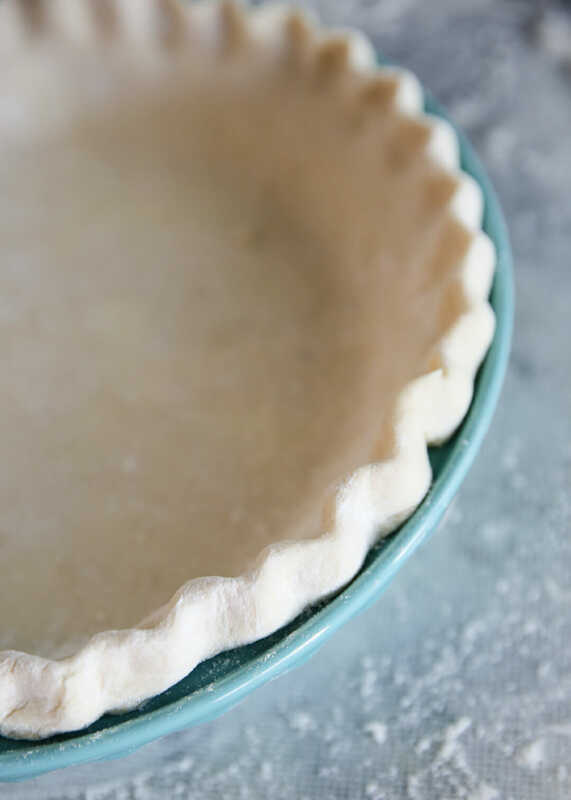 Preheat oven to 425 degrees F. Place pie crust in pie pan and flute edges as desired. Bake for 15 minutes in the preheated oven, then reduce heat to 350 degrees F and continue baking for 25 minutes more. 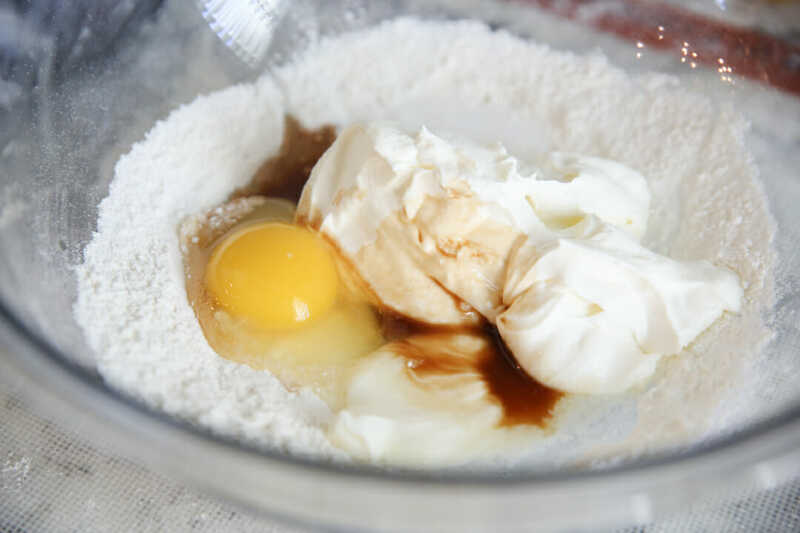 While the pie is baking, prepare the topping in a medium bowl. Stir together 2/3 cup of flour, 2/3 cup sugar, and cinnamon. 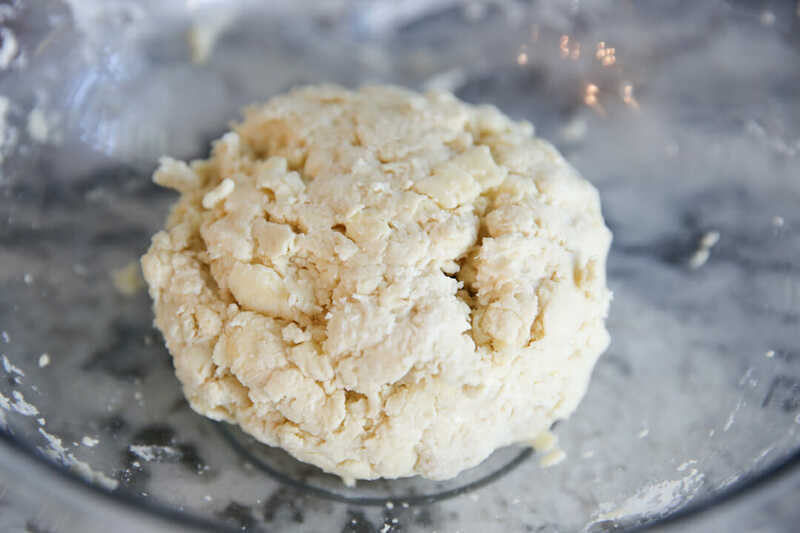 Cut in the butter until the mixture resembles fine crumbs. 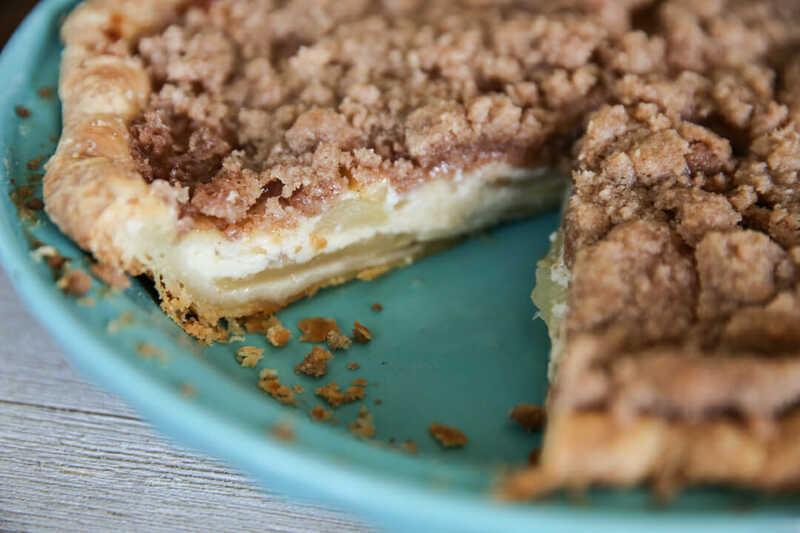 After the 25 minute bake time has passed, cover the top of the pie with the crumb topping, and continue to bake for 10-15 minutes, or until topping is lightly browned and apples are tender. Allow the pie to cool, then refrigerate until chilled before serving. I haven’t ever heard of this pie before, so I can’t wait to try it. Thanks! This sounds and looks incredible! I need to try it out soon! Definitely adding to my Thanksgiving menu this year. Thanks! I believe it’s just a thickener, so I would assume a flour substitution would work just fine. Let me know if you try! Looks great! I always like to change things up; I’ll try it! Made this pie for a family pie night we had and it was so, so good! It will definitely make an appearance on Thanksgiving as well. A keeper, we loved it! Your pie looks like it has layers in the filling. How did you achieve that? my pie came out with maybe a touch too much fillling for a store bought whole foods crust. I also added a bit of cinnamon and mace to my apples, reduced the sugar in your recipe and used 1 quarter cup white sugar, 1 quarter cup brown sugar style Splenda. (the pie was still a little too sweet for my taste). I needed to add additional butter to get the crumb topping. 2/3 cup of sugar and flour in the strusel in the ingredient list and then 1/3 in the written instructions. Which one is it? I’m trying this recipe today. Under the ingredients for the topping it says 2/3 cup of sugar and flour but then the directions say 1/3 cup. You say you like to double the topping so I’m guessing the ingredients list is the correct one?! You didn’t prebake your pie crust, did you? I didn’t think so but I wanted to be sure. I am using the pie crust recipe that you mentioned with the sour cream. Thanks!